The release of the GM also signifies Apple’s intention to push out a full and final version of the platform in the immediate future, Tuesday, September 19 to be exact, meaning the global public will have full access to all of the changes within iOS 11 across all compatible 64-bit iPhone, iPad, and iPod touch hardware. The release is significant for Apple as it marks the end of a prolonged pre-release period dating back to early June. iOS 11 is an extremely interesting release for Apple. It’s not only going to be the out-of-the-box firmware installed on the company’s just-announced new flagship iPhone, but is also crammed full of new features, refinements, and improvements which have all been put in place to introduce and promote a positive user-experience. With iOS 11 compatibility being only for Apple’s 64-bit devices, it means that users should get a positive experience with a highly polished performance. From a features perspective, Apple has really gone to town with iOS 11. Users are able to experience things like drag and drop and an improved multitasking experience on iPad. There’s also the new introduction of a dedicated Files app which gives access to local storage, iCloud files, and even third-party files hosted in Dropbox, Box etc. Screenshots and note taking have been dramatically improved with instant access to a powerful markup feature, and Apple lived up to expectations by introducing immediate peer-to-peer payments through iMessage using Apple Pay. All-in-all, Apple’s iOS 11 is an extremely impressive and worthwhile update which should instantly gain traction and success across millions of devices globally. Apple will likely start the process of updating iOS 11 to version 11.0.1 almost immediately, so it’s worth cherishing and getting to grips with this initial release before the excitement is taken away. The Golden Master build is available to download and install right now on developer devices from Settings > General > Software Update, or through developer.apple.com. 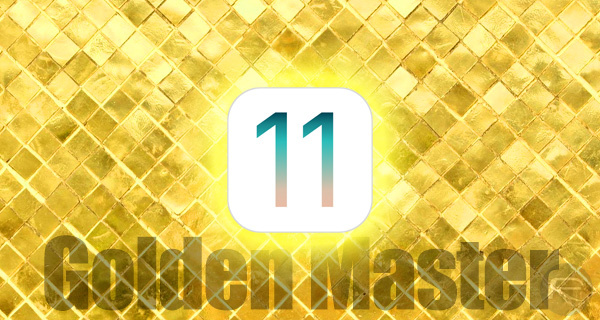 You can find details on how to install it here: Download iOS 11 GM (Golden Master) & Install On iPhone 7, 7 Plus, 6s, 6, SE, 5s, iPad, iPod [Tutorial]. Is iTunes still required to apply this GM update? Can I use itunes now to install the above ipsw now that is released to public beta or do I need a developer account?